"You're not going to stir things up again, are you?" 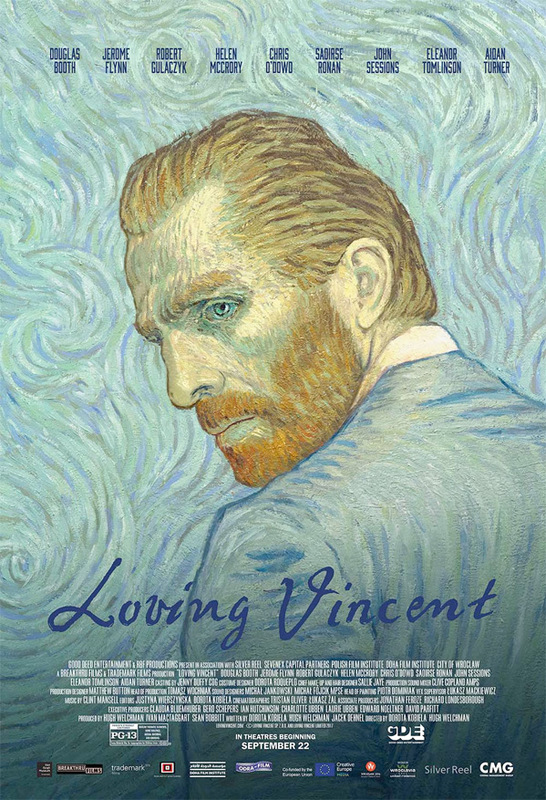 Good Deed Entertainment has launched a theatrical trailer for the upcoming release of the film Loving Vincent, the very special hand-painted film telling the story of famed Dutch artist Vincent van Gogh. We've already featured a few trailers for this last year, but with a release date set for September they're finally giving this a stronger marketing push. The voice cast includes Aidan Turner, Saoirse Ronan, Eleanor Tomlinson, Helen McCrory, Chris O'Dowd and Douglas Booth. To top it off, the film features a score by the one-and-only Clint Mansell. I really love this animation, it's so unique and I'm still totally impressed they actually hand painted every single frame individually (behind-the-scenes here). I hope the film is as beautiful as the paintings. Can't wait to see this. You can still see the original trailers for Loving Vincent from last year here, for even more footage from this. Loving Vincent is a hand-painted animation feature film, looking into the mystery of Vincent Van Gogh's death, told through the medium of his paintings. "Well, the truth is, we cannot speak other than by our paintings," wrote Vincent Van Gogh in his last letter. Loving Vincent is hand-painted biopic film co-directed by painter Dorota Kobiela & filmmaker Hugh Welchman, from a screenplay also written by Kobiela & Welchman. The film features art hand-painted by artists in the style of Vincent Van Gogh to tell his story. The score is being composed by Clint Mansell. For more info on the film, head to their official website here. The film first premiered at the Annecy Animation Film Festival this summer. Good Deed will release Loving Vincent in select theaters starting September 22nd this fall. Still looking forward to this?